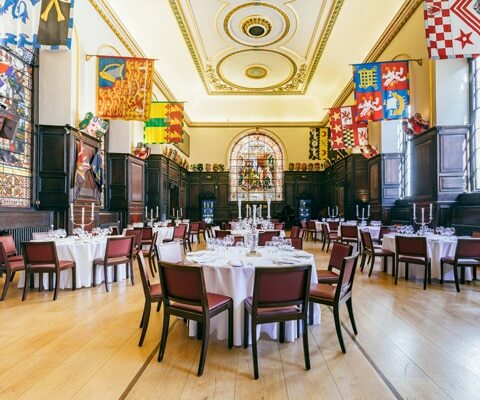 Stationers’ Hall is a Grade I listed historic building, situated in the heart of the City of London, close to St Pauls’ Cathedral. 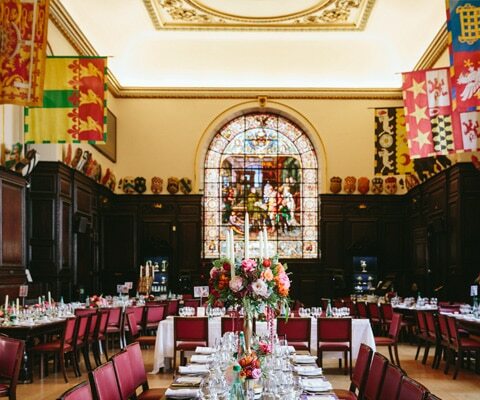 The Hall’s interlinking suite of three opulent and characterful rooms as well as a beautiful secluded Garden makes it one of the most sought after venues. Eminently suitable for a wide range of business and social events, from meetings and conferences to formal lunches and dinners as well as summer garden receptions. The wood-panelled Stock Room leads into the Main Hall. 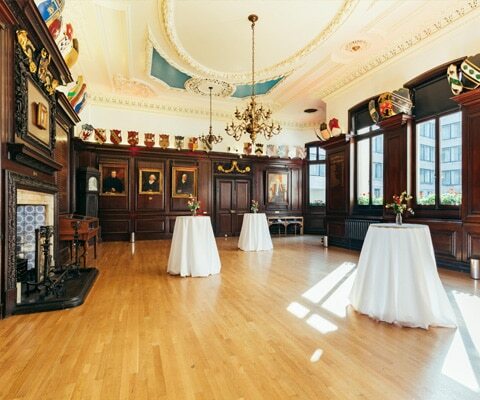 It’s the perfect space for pre-conference refreshments or for a smaller drinks reception. The Main Hall with its gleaming oak flooring, carved oak panelling, floodlit stained glass windows and permitted use of candles lends a warm atmospheric backdrop to any memorable occasion. 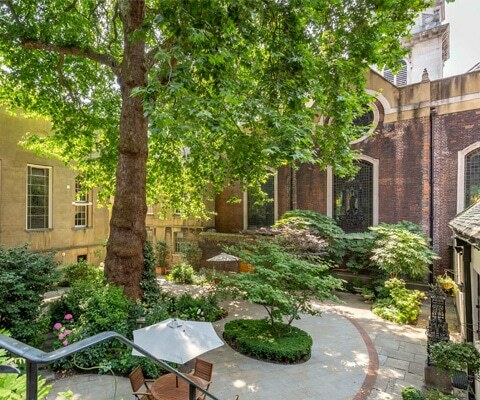 The Hall is one of the largest of its kind in the City of London and also boasts a Minstrels’ Gallery for up to twenty musicians. The Court Room is a wonderfully bright room, overlooking the Garden. Richly carpeted and with Rococo ornamentation in gold adorning the walls, this room has an air of sumptuous extravagance. 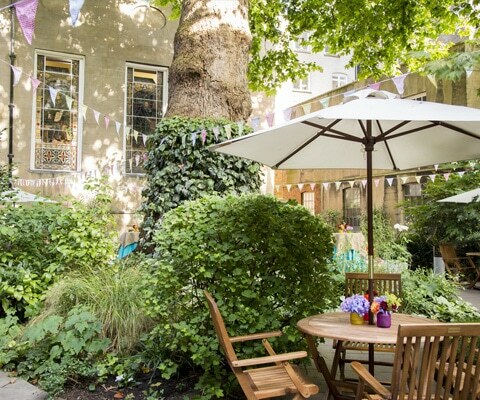 The quiet Garden with its magnificent Plane tree is a draw during the warmer months for client entertaining or a staff barbeque. 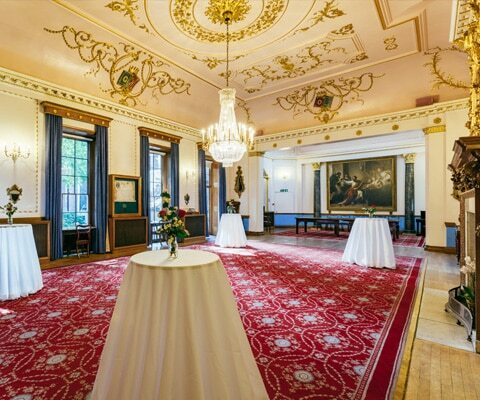 Your guests will fall in love with this elegant and historic venue!